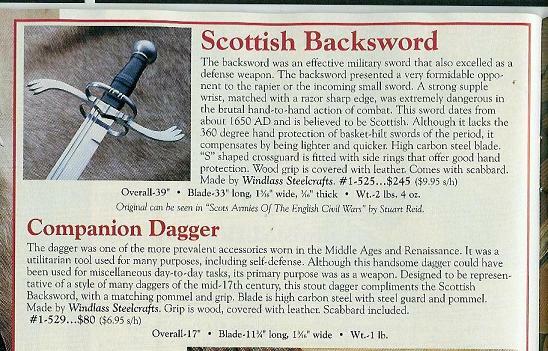 advert for the Scottish backsword. 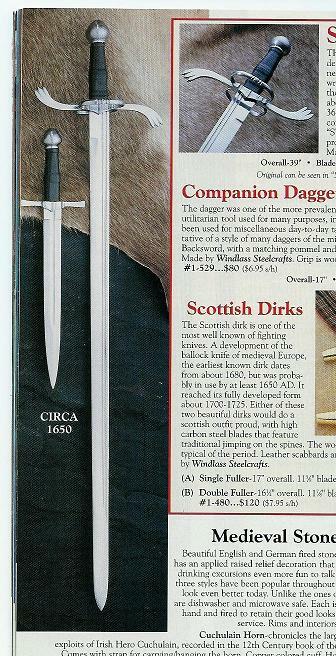 I bought the one Nathan R. had (reviews for it here on site)several years ago (still love this sword) and thought it would be neat to have a photo of it from the catalog. My catalogs only go back to #76...so I'm hoping it's not too far from that. I should have it, but at home. I'll check this evening after work. 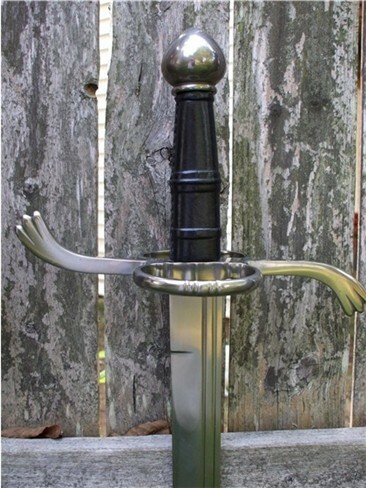 I dare say this sword will be one that never let go of......it's that nice of a sword. Sorry for the delay. Got home last night to all the craziness and freneticism of a family with three little ones and plumb forgot. I've got RPG tonight, so I won't be home to quite late, but I'll make a note to check on it tomorrow if not before. These will do just fine Jesse....thanks much!